SOLDOTNA — Sportfishing groups and advocates want to see the federal government separate the management of sport and commercial fishing in the upcoming renewal of the Magnuson-Stevens Fishery Conservation and Management Act. The act, originally passed in 1976 and co-sponsored by the late Alaska U.S. Sen. Ted Stevens, establishes the management system for federal and state fisheries in marine waters. Under the law, the state has authority over waters from the mean high tide line out to three nautical miles offshore, and federal government has authority over waters from 3–200 nautical miles offshore, known as the Exclusive Economic Zone. The National Marine Fisheries Service, a branch of the National Oceanic and Atmospheric Administration, oversees the fisheries in federal waters. Last reauthorized in 2006, the act is up for renewal and potential amendment. 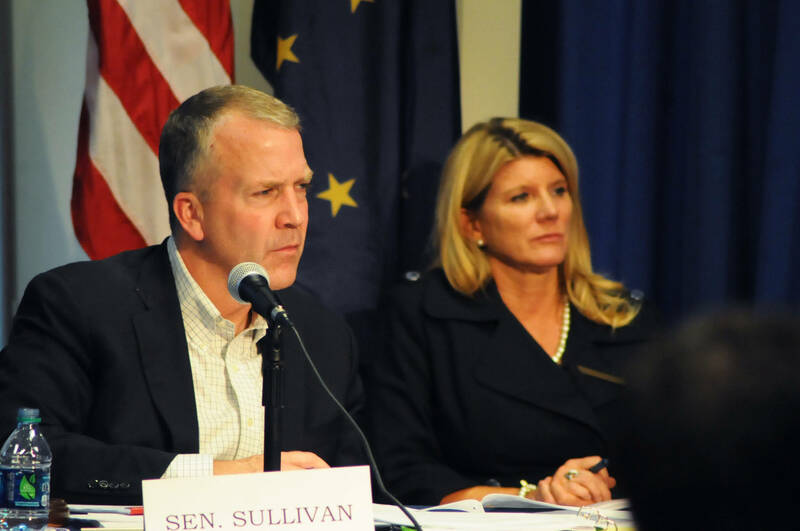 Sen. Dan Sullivan, who chairs the Senate Oceans, Atmospher, Fisheries and Coast Guard subcommittee, chaired a field hearing for the act at Kenai Peninsula College on Wednesday, hearing from more than a dozen witnesses on three panels and discussing potential changes to the act. 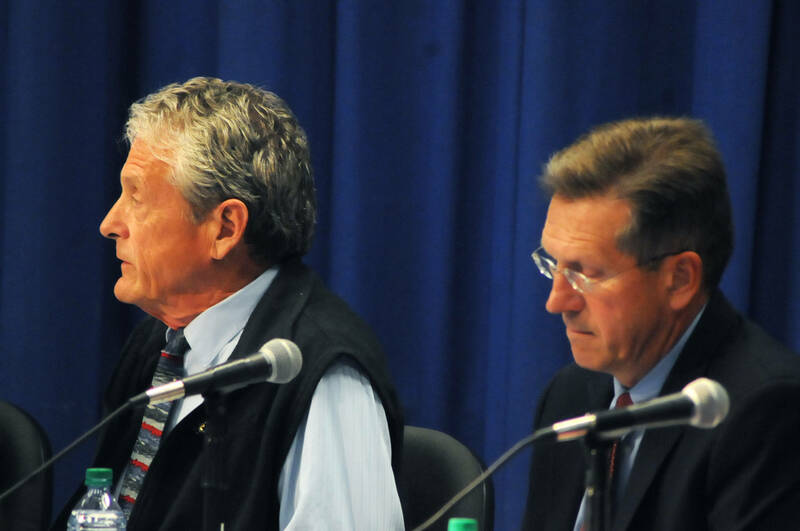 The hearing on the Kenai Peninsula was the first of the field hearings on the reauthorization. Panelists with interests in the sportfishing industry repeatedly emphasized that commercial fishing and recreational fishing are two distinct activities and asked for recreational fishing to be considered in management decisions. “The recreational and commercial fishing are simply two fundamentally different activities needing distinctively different management tools,” said Ben Speciale, the president of Yamaha Marine Group, in testimony at the hearing. Liz Ogilvie, the director of the Keep America Fishing initiative for the American Sportfishing Association, echoed Speciale’s point and noted that a group of senators had introduced a bill addressing some of the sportfishing industry’s concerns. The bill, formally entitled The Modernizing Recreational Fisheries Management Act of 2017, was introduced this summer. “Fairly or unfairly, the general perception among anglers is that NOAA Fisheries only understands and cares about commercial fishing,” she said. Some of the provisions included in the act include mandatory periodic review of allocations among various fisheries, setting up alternative management approaches for recreational fishing, amending limited access privilege programs for mixed-use fisheries, amending the timelines for rebuilding fishery stocks considered depleted and setting up data collection systems that include recreational fishery considerations, among other provisions. Some of those with commercial fisheries interests on the panel disagreed that commercial and recreational fisheries diverge enough to merit separate management methods. Shannon Carroll, the deputy director of the Alaska Marine Conservation Council, said the two were not so different. Some of the speakers with commercial fisheries interests said they thought the act was largely working and should stay the course, though others raised their own issues. Duncan Fields of the Gulf of Alaska Coastal Communities Coalition, who completed nine years on the North Pacific Fishery Management Council in 2016, urged Sullivan to amend the act to mitigate the impacts of limited access programs on coastal communities. However, both sides had some common ground. Both identified the need for greater flexibility for the eight regional councils created under the act, which locally set harvest limits and other regulations on their fisheries. Dan Hull, the current chair of the North Pacific Fishery Management Council, testified at the hearing that the council largely supports the current act’s structure for fishery management, though some flexibility could help. “We also recognize the potential benefits of increased flexibility in some circumstances to allow regional councils the opportunity to optimize their management programs with the appropriate precautionary notes,” he said. 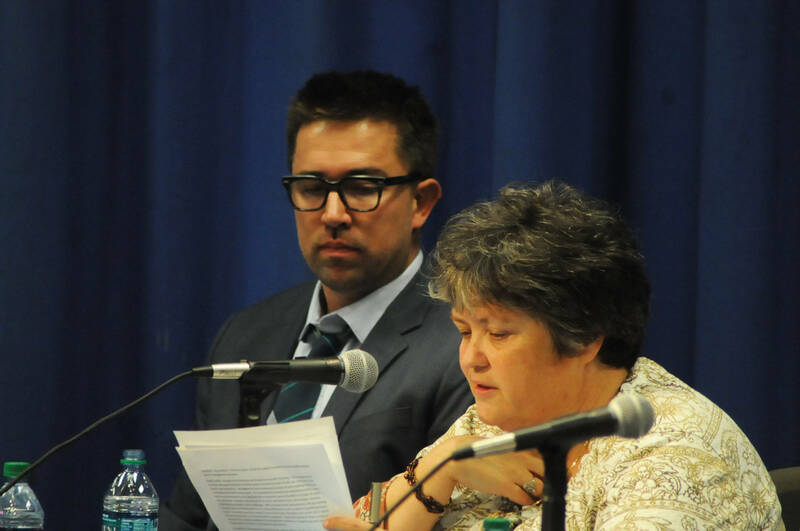 Alaska Department of Fish and Game Commissioner Sam Cotten, who also sits on the North Pacific Fishery Management Council, said at the hearing that the reauthorization of the Magnuson-Stevens Act should address the issue of recusals during council votes. Because of the entangled interests on the council by the stakeholders, some have had to recuse themselves from votes when it may not be totally necessary, so the rules could use some revision, he said. He also mentioned the state’s concern over the recent court decision that Cook Inlet’s salmon fisheries must be managed under a federal Fishery Management Plan, which is under the purview of the North Pacific Fishery Management Council. The council only jumped into the process this April and it will likely take years to develop a plan, and the state has also appealed the decision to the U.S. Supreme Court. Cotten said the decision could have heavy implications in jointly managed state and federal fisheries around the country. One common note among many of the panelists was additional funding for scientific research. Accurate stock assessment data is a major component in modern fisheries management, and without data, the only option is for management to be more conservative and reduce harvest opportunities. Though scientific funding for NOAA is separate from the Magnuson-Stevens Act, many of the testifiers took the opportunity to ask Sullivan to pressure for it. Sullivan said he has long been committed to securing full funding for NOAA and fisheries management research and would push for it in Washington, D.C. Sullivan said he hoped to use the hearing to gain a variety of perspectives. The Magnuson-Stevens Act places conservation first, and after that comes the charge to maximize opportunity for both recreational and commercial fisheries, he said.